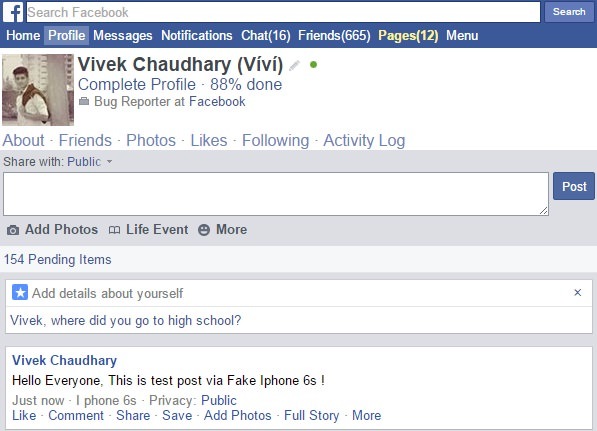 Before we start, first create a new app in name of Fake device from which you want to post status and photo. 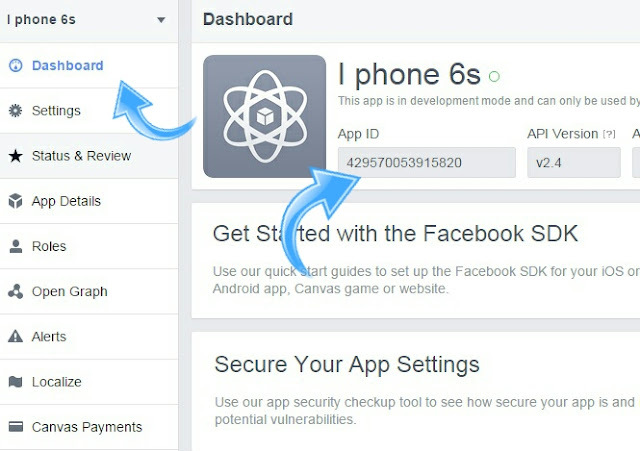 This time we will use Facebook in developer mode. I think this would be new for you. Keep calm, this is really as simple as to create a new Account. 2. Now In the top navigation menu, hover to "My Apps". You will see "add a new app" option. Click it and you will be redirected to next page. 3. Now we have to choose platform. You will see four options. IOS, Android, Facebook Canvas and Website. 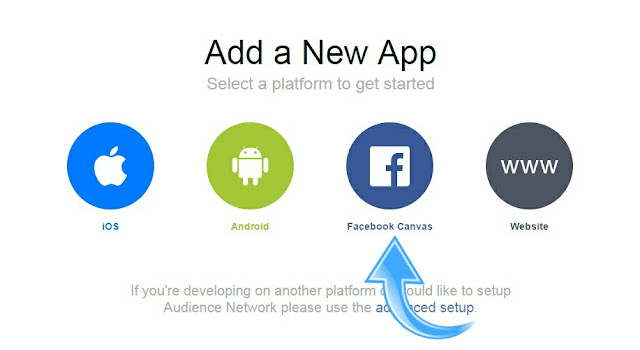 Go with Facebook Canvas. 4. Next, you have to name your app. 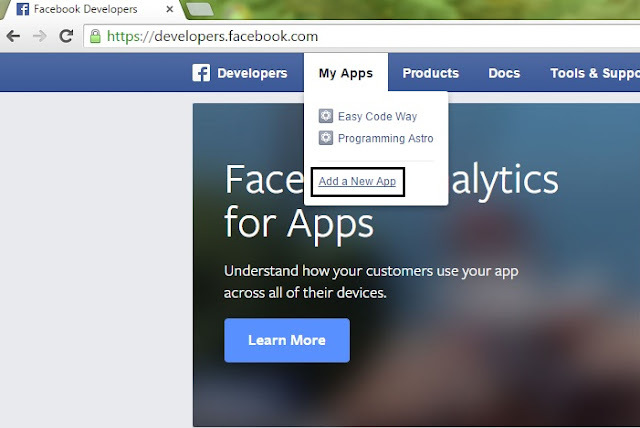 Write the same name as you want your fake device and click "create New Facebook App ID"
5. Choose a category. Simply go with Entertainment or choose any other you want. After that click "create app ID"
6. Facebook will move you to quick tour. Skip them all using button at the top right corner. And congrats you have successfully created it. As you skip quick tour, you will be redirected to the dashboard. Which look something like in below picture. 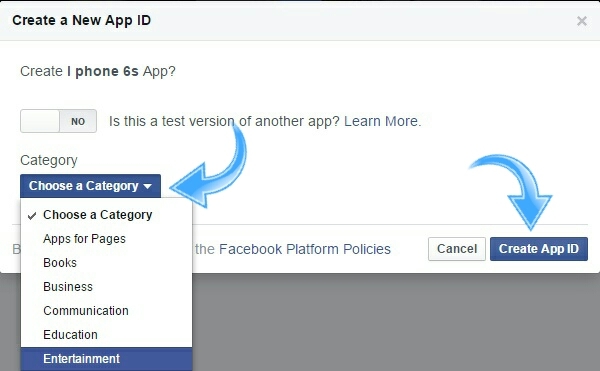 Here you will find "App ID" option. Copy the long number below it and save in notepad. We will be using it later. 1. Choose settings from the left menu. 2. Fill out the contact e-mail with your G-mail ID and click "save changes"
3. Now click on " Status & Review" option from sidebar menu. 4. 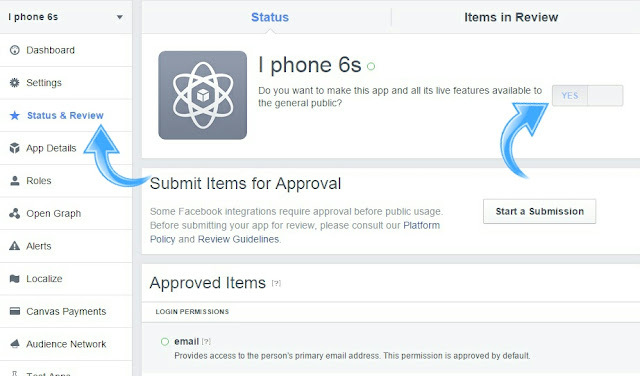 Move the button from NO to YES option as shown in below image. Note: If you don't fill contact e-mail, you will not be able to change privacy to public. So don't skip this important step. 1. Copy paste your app ID With the one in this link and open in new tab. 2. Now write content you want to post and choose privacy. 3. Hit share button and done. I have gone through all tutorial available on this topic but no single one has provides how to post photos/images. This is my own experimental study which can help you to do this. 2. choose "profile" option from top menu. 3. click "add photo" button available at the bottom line of status that you had updated earlier as shown in below picture. 4. Now choose photo and finally click "upload". From next window you can tag your friends, otherwise skip it and done! If you are on Mobile, then use UC Browser Or Opera Mini and follow above steps. Using this trick, you can create as many fake devices you want like iPhone 6s, Samsung S3, iPad, iOS, Sony Xperia Z Ultra, Blackberry etc., Moreover you can also use names like via Twitter, YouTube, Instagram, LinkedIn and WhatsApp. Finally Enjoy Updating your status and photos and prank your friends. 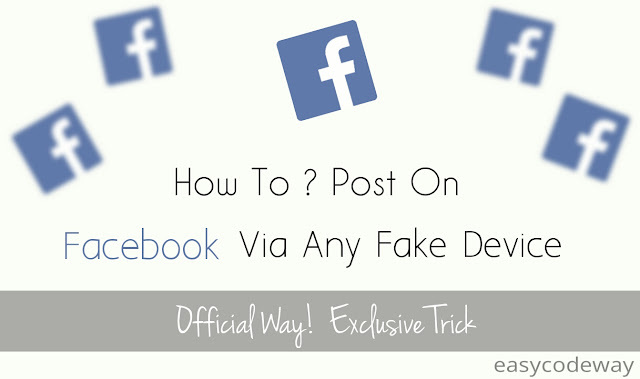 Before you ask me in comment, I want to say that this will not work for Facebook pages and presently I am working on it. Still having problem? Let me know. great work Vivek. Thank you. Hi Leo Wirabuana, thanks a lot! It feels like a great honor. Keep Visiting! Wow, ist very nice, so I can use my name as device name!